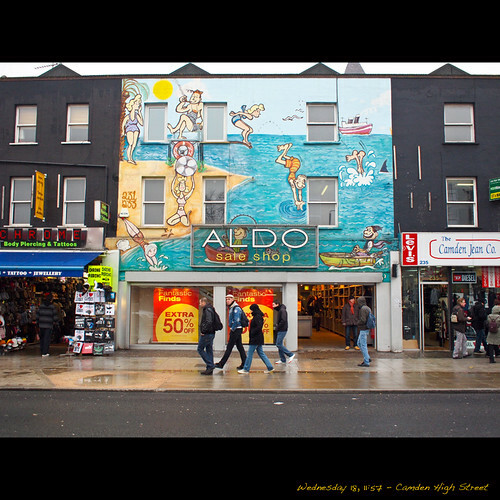 Camden Town is situated in North London, not too far from St-Pancras where foreign visitors can arrive with the Eurostar. 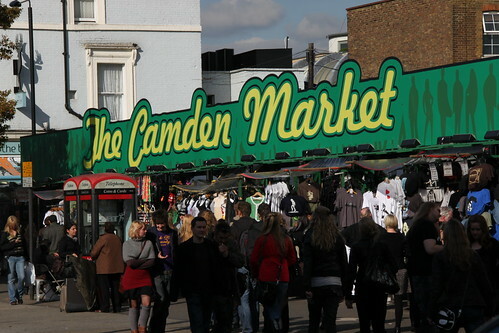 Camden is well-known for its markets: these are relatively new, except for Inverness Street market, a small food market serving the local community, though now with only 3 fruit and vegetable stalls (= stands) among more touristy stalls. 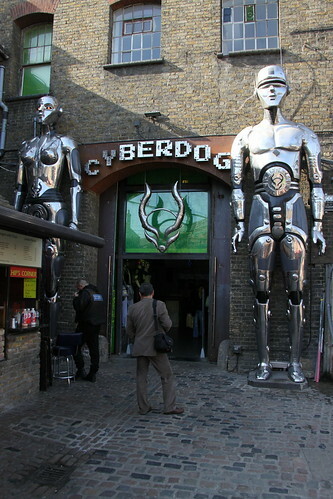 Camden Lock market proper started in a former timber-yard in 1973, and is now surrounded by five more markets: Buck Street market, Stables market, Camden Lock village, and an indoor market in the Electric Ballroom. 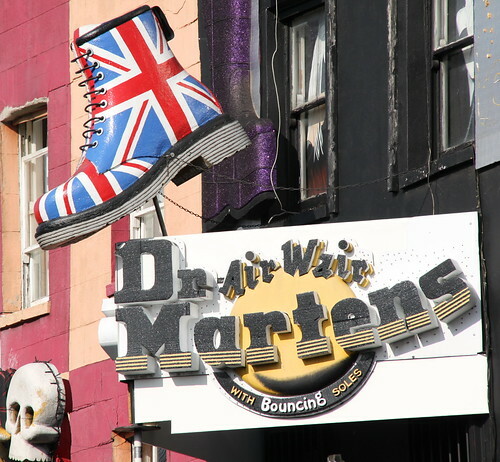 The markets are a major tourist attraction at weekends, selling goods of all types including fashion, lifestyle, books, food, junk/antiques and more bizarre items; they and the surrounding shops are popular with young people, in particular those searching for « alternative » clothing. 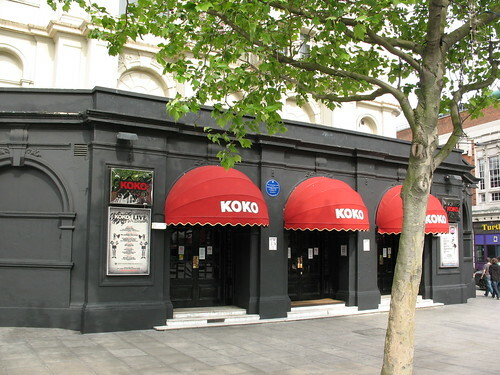 In Camden Town, you will also find many pubs like the mythic World’s End which has existed since 1778 and you can listen to live music at a famous venue called Koko or the legendary Electric Ballroom. 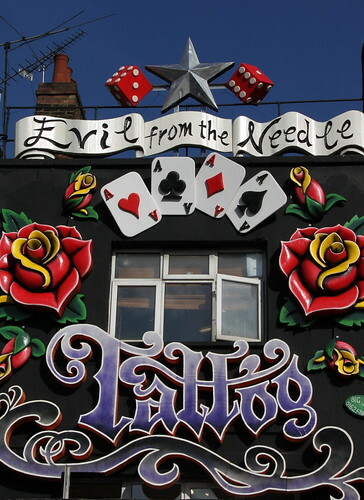 Camden is also one of the best places for tattoo parlours and body piercing. 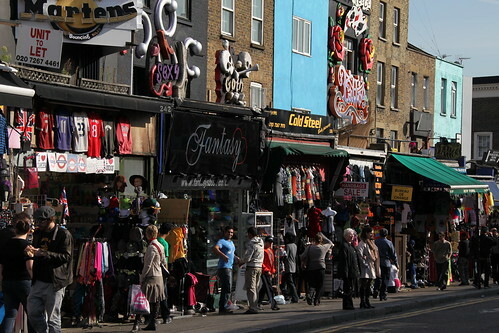 The Regent’s Canal runs through the north end of Camden Town. 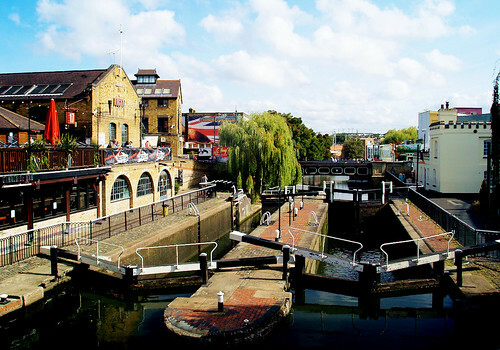 Canalboat trips along the canal from Camden Lock ( a lock = une écluse) are a popular activity, particularly in the summer months. Many of the handrails by the bridges show deep marks worn by the towropes (= câble de remorquage) by which horses pulled canal barges (= les péniches) until the 1950s, and it is still possible to see ramps on the canal bank designed to assist horses which fell in the canal after being startled (= surpris) by the noise of a train. 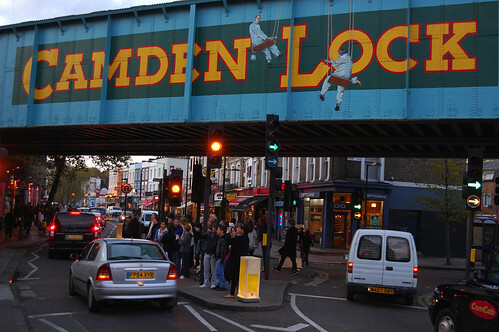 Have a look at the Camden Lock website which includes a video of Camden. This entry was posted on mars samedi, 2010 at 23:31	and is filed under British Isles (The). You can follow any responses to this entry through the RSS 2.0 feed. You can leave a response, or trackback from your own site.